A new study from North Carolina State University, the Smithsonian and Duke University finds that bamboo lemurs, giant pandas and red pandas share 48 gut microbes in common - despite the fact that they are separated by millions of years of evolution. 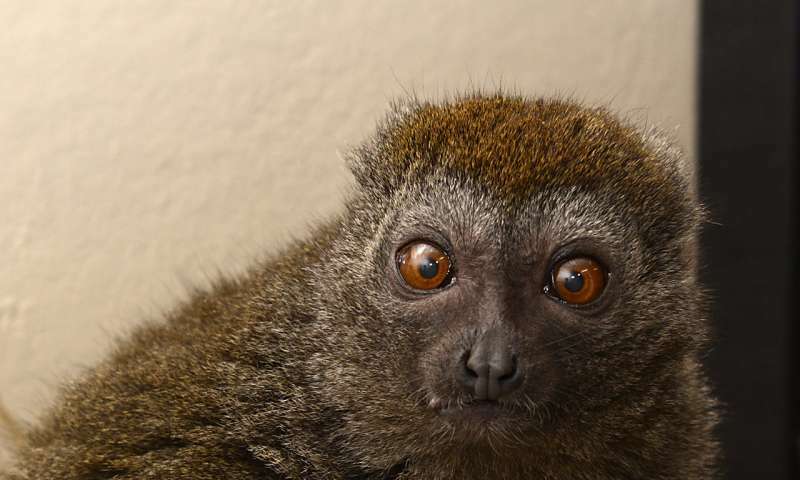 "The bamboo lemur's evolutionary tree diverged from that of both panda species 83 million years ago - that's 18 million years before dinosaurs went extinct," says Erin McKenney, a postdoctoral researcher at North Carolina State University and lead author of a paper on the study. "These species are also separated by thousands of miles and the Indian Ocean. Red pandas and giant pandas aren't closely related either, with their most recent ancestor coming 47.5 million years ago. Lemurs are primates, red pandas are related to raccoons, and pandas are related to bears. "Yet all three species share these 48 gut microbes - more than 12 percent of the microbial types found in each species' gut," McKenney says. "The only common feature is their diet: all three species live almost exclusively on bamboo." Bamboo is not easy to eat. It is physically tough, difficult to break down, and is not especially nutritious. In order to thrive on a bamboo diet, an animal needs some help in breaking down the fibrous material to get the necessary nutrients. And that's especially true for animals with simple guts - like the bamboo lemur, red panda and giant panda. 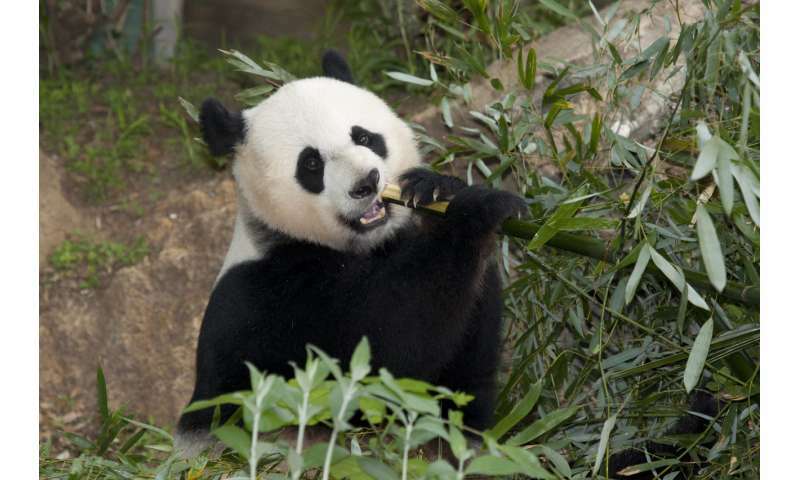 To determine if there were microbes in common that may be essential to the success of these bamboo-eating species, researchers sampled feces from bamboo lemurs at Duke Lemur Center; giant pandas at the National Zoo; and red pandas at the Smithsonian Conservation Biology Institute. The researchers ran 100,000 genetic sequences per sample in an attempt to capture the full diversity of the gut microbiome for each species. Of the 48 microbes found in common, some are also found in other animals fond of fiber-rich diets. For example, several are also found in cows, and one is found in termites. This suggests that these microbes play a role in breaking down fiber to extract nutrients. In addition, the researchers compared the gut microbiome of the bamboo lemur to that of the closely related ringtail lemur - and found only eight microbes in common. "This really underscores the role that diet plays in determining what lives in our guts - and, in turn, how these microbial ecosystems can shape the way animals live," McKenney says. 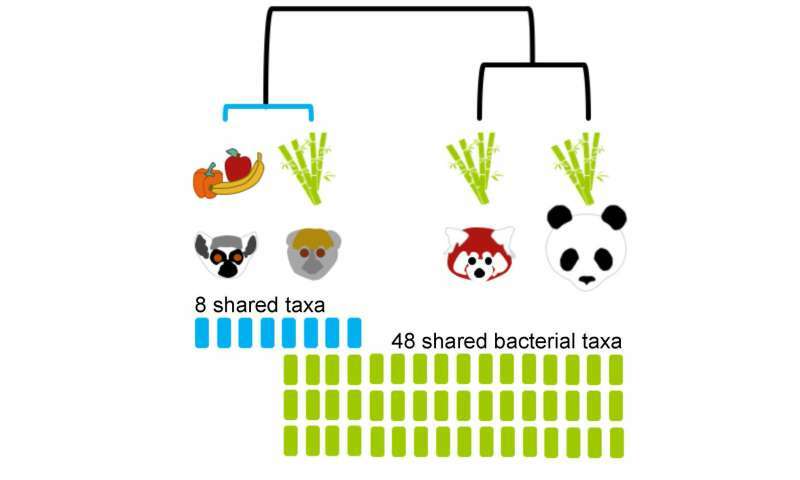 The paper, "Bamboo specialists from two mammalian orders (Primates, Carnivora) share a high number of low-abundance gut microbes," is published in the journal Microbial Ecology.